Submissions will be accepted from March 1 - April 30. 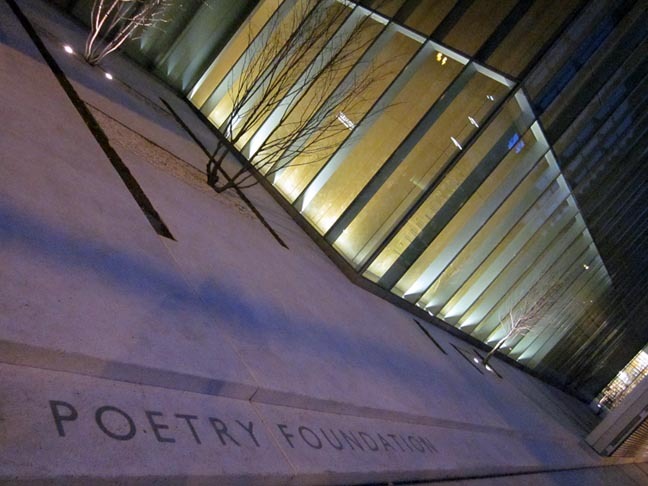 CHICAGO – Five poetry fellowships in the amount of $25,800 each will be awarded to young poets through a national competition sponsored by the Poetry Foundation. The awards are among the largest offered to young poets in the United States. The new fellowships honor two extraordinary women and their commitment to poetry and give five young poets a more auspicious start to their careers. The original Ruth Lilly Poetry Fellowships were established in 1989 by Indianapolis philanthropist Ruth Lilly to encourage the further study and writing of poetry. Last year, the Poetry Foundation received a generous gift from the Dorothy Sargent Rosenberg Memorial Fund to create the Ruth Lilly and Dorothy Sargent Rosenberg Poetry Fellowships, which increase the fellowship amount from $15,000 to $25,800. The fellowships are open to all U.S. poets between 21 and 31 years of age. The winners of the fellowships will be announced in September 2014 and featured in the November 2014 issue of Poetry magazine. Submissions will be accepted from March 1 through April 30 of this year.